Amongst The Violets: Fabric Surprise! Last night I was looking for my glue gun, and found a wonderful surprise - two bags full of wool fabric! Upon further inspection I have about a yard of a natural black coat weight wool, and 7 2/3 yards of a navy and gray wool suiting. I have a pretty good idea of where the black wool came from, but I'm at a total loss where the suiting is from. Ah well, the good news is that this seems like the perfect opportunity to make a winter dress and matching jacket. 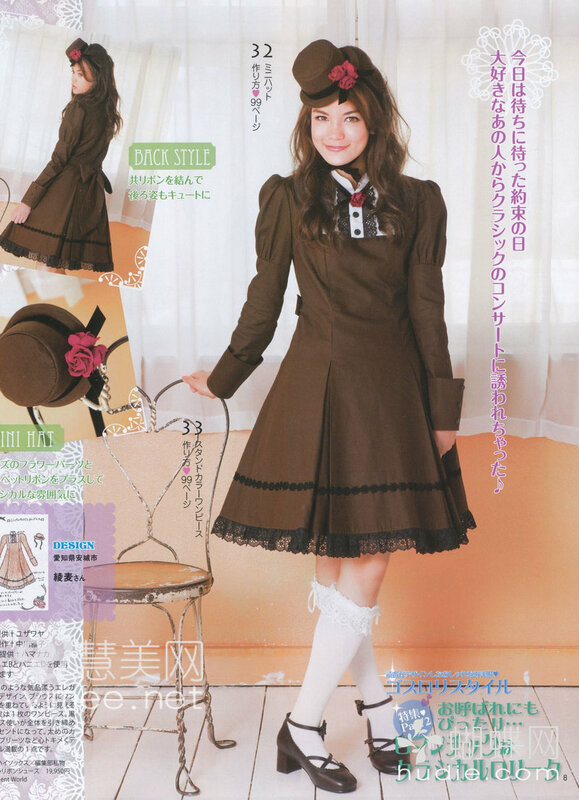 I am leaning towards this design from a set of scans uploaded onto the live journal community about a year ago. The shape of the skirt, with the pleats, and the cuffs on the sleeves really lend its self to becoming a matched set of dress or jumperskirt and jacket.